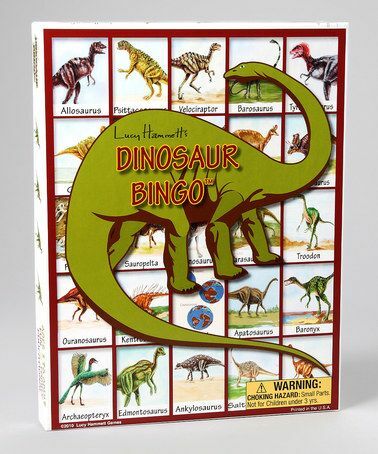 Prehistoric fun will be had while playing Dinosaur Bingo. Allosaurus, Saltasaurus and Tyrannosaurus are a few of the characters. 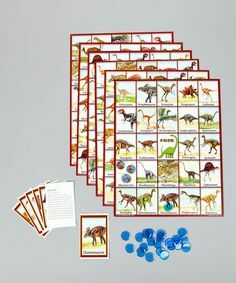 • Includes 6 player boards, bingo chips and 42 picture cards with an image on the front and facts on the back. • Contains small parts. Not intended for children under 3 years of age.